Academic Progress Rates are rising at HBCUs, according to the latest report by the NCAA. Single year rates for HBCUs have improved 34 points in the last five years, up to an average of 962. That’s still behind the rest of Division I (984), but above the 930 score needed to participate in postseason play. Despite the improvement, seven HBCU teams were banned from post season play, including four from Alabama A&M. Grambling’s football program, the reigning two-time SWAC champs, received a level one penalty which will result in lost practice time to be replaced with academic time. Morgan State was the lone HBCU football team banned from postseason play. AAMU’s men’s basketball, men’s golf, men’s track and field, and women’s cross country teams will all be ineligible for postseason participation. Mississippi Valley State’s baseball team and Grambling’s softball face the same fate. APR scores measure the classroom performance of a team over a four-year period. All penalized institutions fell below an APR score of 930 on a scale of 1,000. 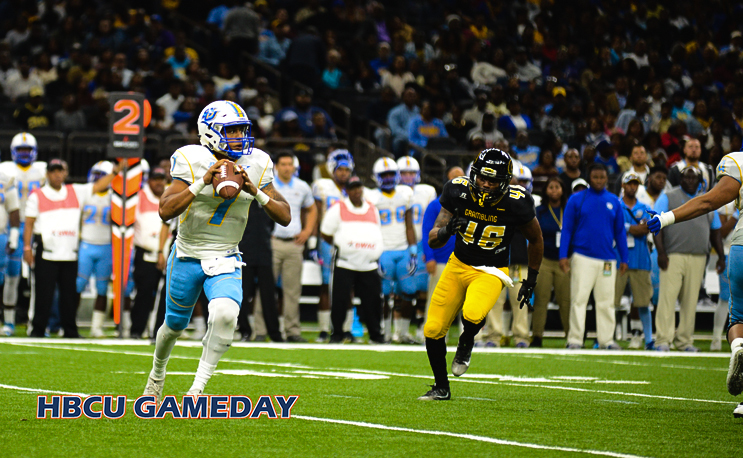 Southern University hit a milestone as all of its teams were eligible for the first time since APR was instituted. In fact, the men’s cross country team received a perfect score (1,000) along with its women’s bowling and tennis squads. One day, the benefits of remaining in the NCAA will make sense to me. Right now, it’s an athletics version of the sharecropping model. Is there any research available that would allow us to evaluate the relative size of endowments between HBCU’s and their mid major counterparts… These metrics are foundational in understanding the elegant discrimination that the current system cultivates. HBCU’s are accountable for graduating students. The system must be accountable for creating level playing fields. Level playing fields create environments that cultivate growth and innovation. Today’s NCAA is NOT a level playing field. Metrics bear that out time and time again. Thank you for sharing this article Steven!